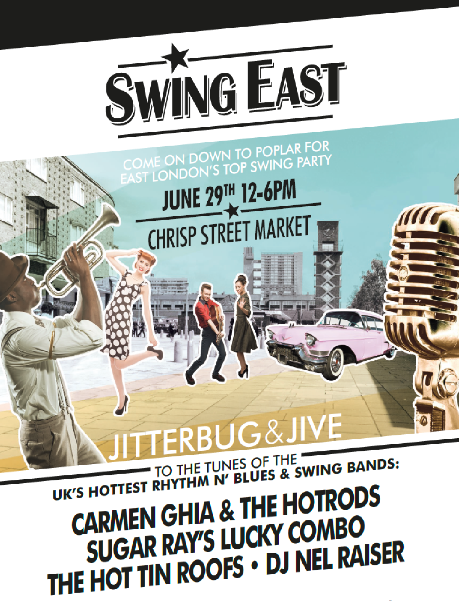 Nestled between the towers of Canary Wharf and the Olympic Park, Poplar’s Chrisp Street Market will bring the swing back to East London on Sunday 29th June. 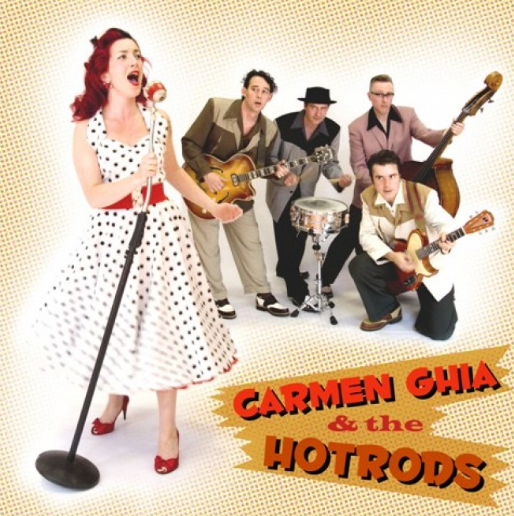 Built in 1951 as part of the Festival of Britain, it’s going back to its roots – for a day of jazz, jive and jumpin’ beats! 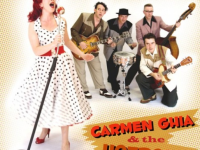 Swing East and this iconic covered market will step back in time, complete with vintage goods stalls, fresh hot food and a classic car show. Next comes the music – London’s newest street festival has tracked down the best bands on the circuit for six hours of the finest Rhythm n’ Blues, Hepcat Swing and Roots Rock n Roll – Carmen Ghia and the Hotrods, Sugar Ray’s Lucky Combo and the Hot Tin Roof’s will all be getting the crowd on their feet, while DJ Nel Raiser will be spinning discs in-between. And for those new to the scene, dance floor ace Jerome Anderson will be teaching some killer Lindy Hop moves to help get those hips swinging. By the way, the event is 100% Free! Follow Swing East’s updates on Twitter: @swingeast. You may also want to check our post about the Bankside Summer of Culture 2014.